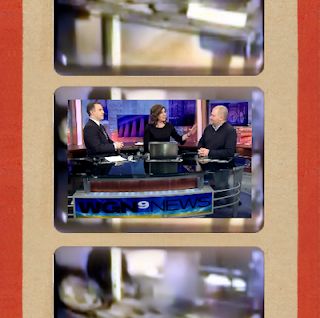 We have now heard more about the Roswell Slides, again from Adam Dew and again on video, though this comes from WGN-TV in Chicago. Dew was interviewed about the slides. He told us that the Rays, Bernerd and Hilda, divorced in the 1960s. He remained in Midland and she went to Arizona. Dew said that people have been contacting him about the Rays, so he was learning a little more about them. He implied that the Rays had taken the pictures, probably Hilda, though it could have been Bernerd. At any rate, the slides had wound up in Hilda’s possession and were only discovered long after her death. Although it was suggested at the beginning of the story that it was Dew’s sister who had been cleaning the house for an estate sale, it was actually the sister of a friend. Much of this we had already heard and already knew. I believe it is safe to say that the slides are from the proper era. It seems that the coding on the edge is correct for 1947 and that the slides were mounted in cardboard sleeves available for a specific time seems to eliminate the other coding possibilities. Although we haven’t seen all the scientific testing that has been done and don’t have access to the chemical analysis of the film stock nor the chemicals used to develop and preserve the film, all do seem to be from the proper era. The slides were taken in the late 1940s, developed in that time frame, and are not part of a modern hoax. Of course, that doesn’t mean that the slides show an alien creature. Though we have a poor quality slide to use as a base, there have been many examples that seem to show similar creatures, mummies actually, found in museums. They are close to the image we all have seen and if it isn’t an exact match with that on the slide, I’m not sure that is a problem. What we need to see is something that is far removed from those examples. Something that is truly alien in nature and I’m not sure how you’re going to prove the creature is alien especially if you don’t know who took the pictures, when they were taken or where they were taken. I’ve listened to the arguments such as in the 1940s the aliens in science fiction didn’t have big heads, but that isn’t much of an argument. And, there are some examples of just that. Here is something else about the science fiction literature of those times. When talking about an advanced species, about what humans will look like in the far future, it seemed to always big with big heads and spindly bodies. The idea was that the brain would evolve and grow and the rest of the body would degenerate and shrink. 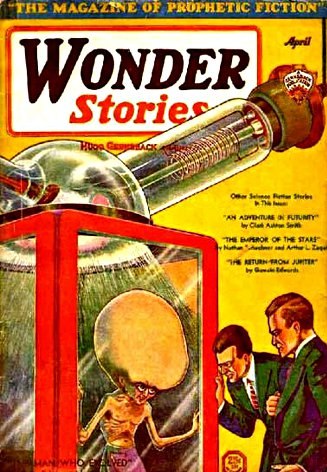 Aliens, often thought of advanced humans, sometimes took on those characteristics (for those interested in this, see “The Man Who Evolved,” by Edward Hamilton published in 1931... type the name into Google and take a look at the cover for the April 1931 issue of Wonder Stories) For that reason, I don’t think much of the argument that no one was talking of creatures like seen in the slides. I believe that in the 1940s, when people discussed the evolution of humans (and granted, that would be a small number of people) the big head little body was sort of the default setting. What all this means, simply, is even if they prove to the satisfaction of everyone that the film was exposed and developed in 1947 or 1948, they are not going to be able to prove it alien. The mummies seem to be too close and frankly, the best explanation is that the slides show a mummy found out in the desert. This has nothing to do with the Roswell case. I hope for the best for them, but I fear it will end badly for them. Unless they have something better, something hidden from all of us and saved for the big reveal, I think we’re all going to be disappointed. This is, of course, just my opinion but since I have mentioned in the last couple of weeks, I figured I should make it official. I wish Tom and Don luck because they’re going to need it. Give the fraud some more press why don't you. Geez you ufo people are naive. Morons!